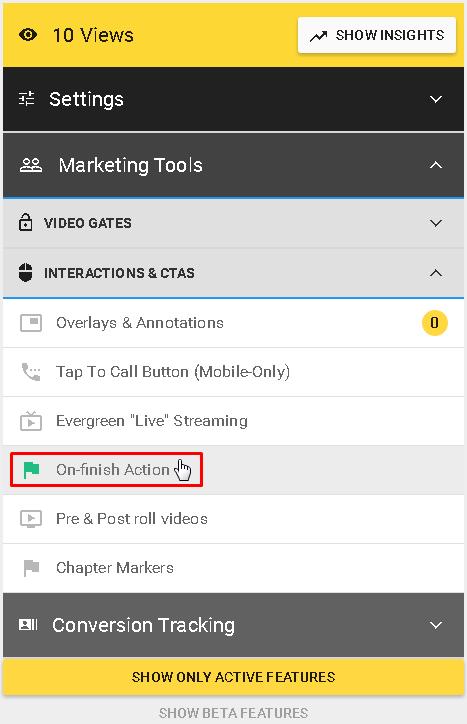 By using this feature you will be able to specify what happens when your video is finished playing. It is located under Marketing Tools in INTERACTIONS & CTAS. Turning the toggle on will activate this feature. You can select the desired action from the drop-down menu. The most frequently used is the Redirect to URL. 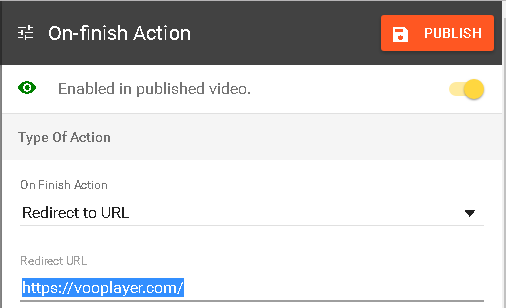 If this is your chosen case as well, just paste the URL where you want your viewers to be redirected to (after viewing the video) and click on the PUBLISH button.